Video…..How I style my crazy hair! “Nana’s Family” Cookbook – New eBook format! Jalapeño Cilantro Hummus – Takes only seconds to make this healthy, nutritious treat! Was there life before hummus? I don’t know about you, but I barely remember life before hummus. I’m not even sure when this delicious, nutritious food came on the scene but I’m glad it did. It is so popular it shows up on restaurant offerings as well as almost every pot luck and party. It comes in a variety of flavors and is very versatile. In addition to being served as a dip with pita chips or veggies it can be used as a spread on wraps and sandwiches too! So what exactly is thing called “Hummus”? It is made from garbanzo beans. Yep, garbanzo beans blended with some seasonings. That’s it. It is that simple. So why would anyone want to make their own hummus when you can just buy it already made in almost any grocery store? That is a great question and my answer is…because it is so easy and you can whip it up on a moments notice using ingredients you have on hand (providing of course you have them on hand). Another reason is that you can control what you put in it and adjust the seasonings to your preference. And…not to mention…it is fun and impressive to say you made it yourself. Right? Sometimes it is just fun to say you made something yourself. I hope you will give this recipe a try. The recipe is more of a guideline than anything. Feel free to add more jalapeños if you like it hotter. You may want to add some lemon or lime juice and a sprinkle of oregano would taste great too. Have fun with it and make it your own. Oh, and please let me know how it works out for you. I love to hear from you! 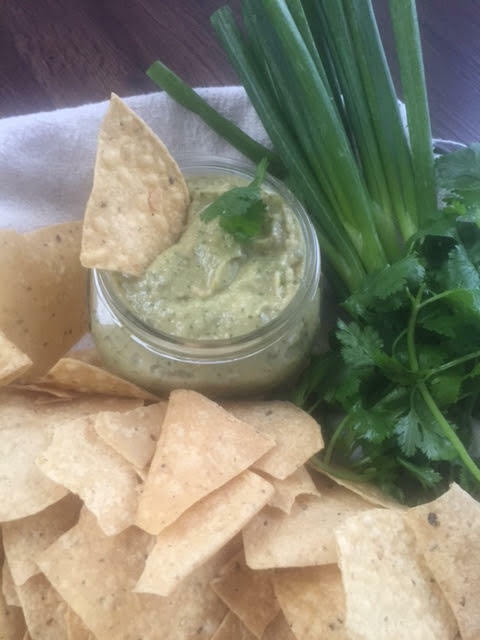 Jalapeño Cilantro Hummus - serve with tortilla chips! Place all ingredients in a food processor and whirl until smooth! That's it! May be served immediately or refrigerated for up to a week. It is great served with tortilla chips! May also be served with fresh veggies or your favorite crispy chip or cracker. How to host an easy, unique and FUN dinner party for under $10! What can you do with some broccoli, a box of refrigerated pie crust and an egg? Before I tell you the answer….Have you ever noticed how much everyone loves a mystery? Right? The element of surprise is a necessary ingredient in almost every area of our lives. We need mystery and fun and surprise to keep us from living a life of boredom. Books and movies are perfect examples…there is always a PLOT TWIST! And…if there isn’t? Well, we know we can count on that book or movie being a flop. This unique dinner party is just the thing for dinner party boredom. It has mystery and fun written all over it. And best of all you get to join in the fun instead of slaving away! So…back to the broccoli, pie crust and egg question. The mystery of this party is to have your guests bring the groceries. Yep! You read it right! You give each guest a list of 3 or so items that should cost no more than $10 total. You mix up the items so they are wondering “what the heck?” For example: broccoli, pie crust and an egg. Everyone is instructed to arrive with their groceries at a specific time so the party can get started. This is where it gets even more fun and also where the creativity kicks in. 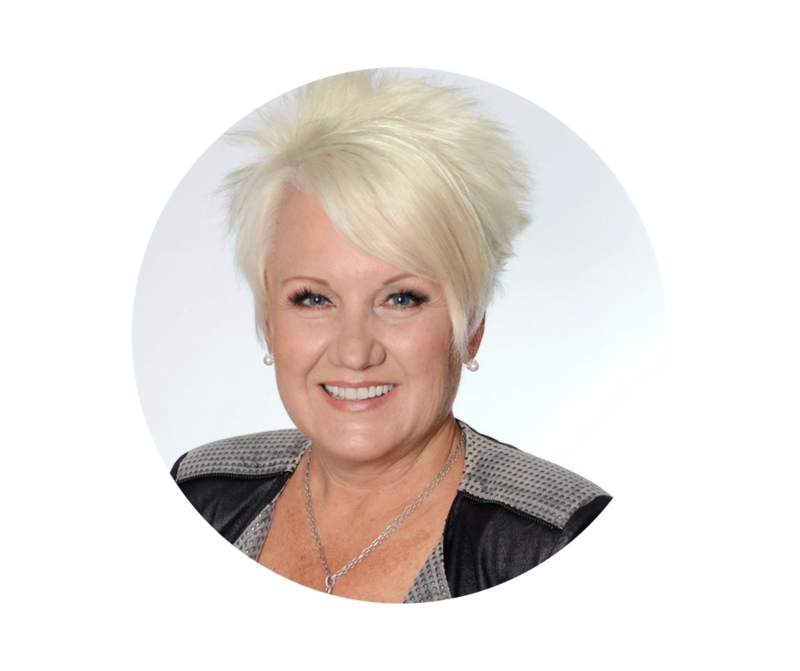 No matter how specific you are on the shopping lists you give out …and I do recommend that you be very specific…inevitably you get something that is different than you expected and you are forced to use creativity to come up with an alternative plan. Other variables are… missing ingredients due to missing guests or other unforeseen or unplanned for things. Of course it doesn’t hurt to have a few key items in back up just in case and it is really important that you confirm with your guests that they will be there, be on time, and bring their items. This particular party menu was an appetizer made of a block of cream cheese with pesto sauce poured over it served with baguette slices, followed by a mixed green salad and a create your own pasta bar. For dessert we made apple dumplings that we served with ice cream. I chose items that could be used in multiple courses and dishes. For example the store bought pesto was used for the appetizer and also in the pasta sauce, there were a few leftover crackers from our appetizer that I crumbled into the salad and the dried cranberries were served as part of our appetizer platter, in the salad and even as a garnish with the dessert! The important part is to make a plan and then be flexible in how your plan plays out. Make sure that everyone is involved doing something whether it be setting the table, stirring or chopping etc. You can even let them find the dishes, silverware, platters etc. If you see someone standing around give them a task even if they don’t ask! I promise you everyone wants to be a part of the fun! Remember it is all about the fun! I really hope you will take this idea and run with it and if it sounds like fun yet is more than you want to take on…you are always welcome to hire me to plan and execute it for you! I can’t think of anything else I’d rather do than have a party or help you with yours. Oh and in case you are still wondering what we did with the broccoli, pie crust and egg…the broccoli was steamed and used as one of the ingredients for our pasta bar, the pie crust was used for the apple dumplings and the egg was beaten and used to “wash” the apple dumplings to give them a crackly glaze. Mystery is now solved and it’s on to the next one. What will your next mystery dinner menu be? I loooove all things artichokes! I use artichoke hearts in salads and dips and pasta dishes. There is just mysterious and wonderful about this thing called an artichoke. They are a bit like life…hard to read from the outside and yet once you’ve unsolved their mystery they are yours to do with as you wish. You just have to get to know them at a deeper level than meets the eye. Okay…perhaps I’m getting a little carried away and dramatic…all to drive the point of my passion for these wild creatures. I'm crazy about cooking and entertaining. What I am even more passionate about is helping others gain confidence in their own cooking and entertaining skills. I'm looking forward to meeting you on our journey together. Mexican Brunch Egg Casserole – Quick and easy! Suzi’s – make it in seconds…tastes like you slaved all day…Secret Salsa Hack! Suzi Moret on Jalapeño Cilantro Hummus – Takes only seconds to make this healthy, nutritious treat! Phyllis on Jalapeño Cilantro Hummus – Takes only seconds to make this healthy, nutritious treat! Don't miss a thing....sign up today to receive all new posts delivered to your inbox!